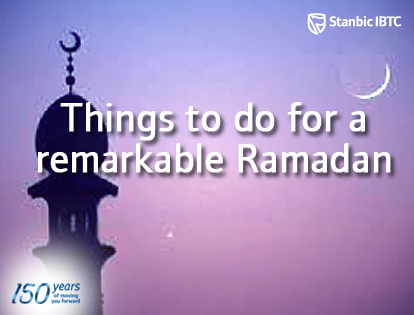 We know that Ramadan is a month that offers time for Muslims to focus on the spiritual aspects of their lives. While some are focusing on how to make the best use of this holy month, others are already also making sure their Eid outfits are perfectly fit in advance, we think that’s commendable forward thinking. We are all still going to participate in all the festivities after all. 1. Free your mind from clutter, negative thoughts and meaningless worry – One negative thought breeds another and leads to another. Focus on something else when the mind wonders into negative space. This is also good advice for your finances. If you have any debts or unnecessary recurring expenses, let go of them as soon as possible. Bad habits tend to pile up quickly. 2. Free your body and psyche from laziness and bad speech. – Fasting does not give you an excuse to be weak. It gives you a chance to get more effective and do things as quickly as possible. 3. Learn to let go – There are things you may have deemed as essential but now realize that you really do not need. Let them go. Do you really need fries with your burger? 4. Free yourself from thinking you need to eat too much - Eating habits change dramatically during Ramadan, not just in that we eat only from sunset to sunrise but also in how we eat. Our appetite is driven by our imagination of a feast at the height of hunger, rather than the reality of what will satisfy that appetite after the sunset call to prayer. 5. Remember, how we eat is just as important as why we don't eat to develop a sense of patience, sacrifice and humility. In the end, all these tips are about living a better life during and after Ramadan. Live better, live freer, live debt-free. This Ramadan can be your platform and your beginning.